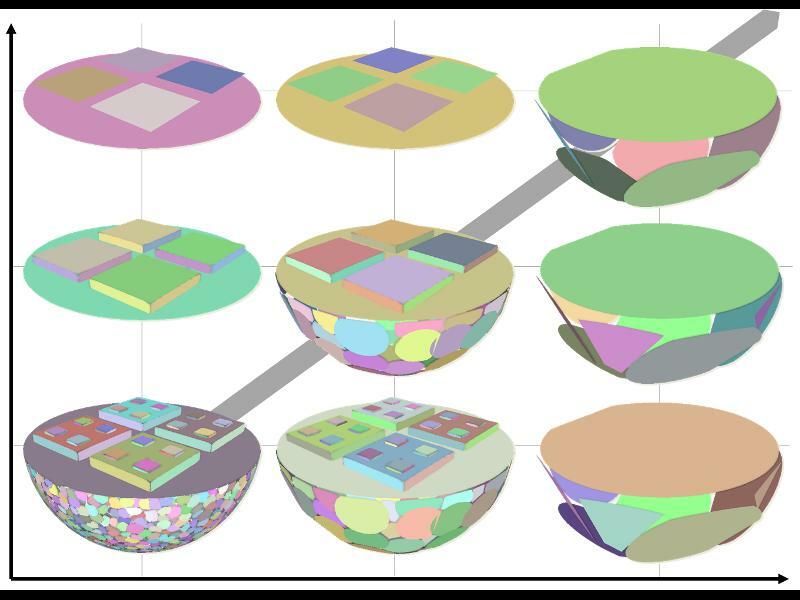 Abstract : Interpreting 3D data such as point clouds or surface meshes depends heavily on the scale of observation. Yet, existing algorithms for shape detection rely on trial-and-error parameter tunings to output configurations representative of a structural scale. We present a framework to automatically extract a set of representations that capture the shape and structure of man-made objects at different key abstraction levels. A shape-collapsing process first generates a fine-to-coarse sequence of shape representations by exploiting local planarity. This sequence is then analyzed to identify significant geometric variations between successive representations through a supervised energy minimization. Our framework is flexible enough to learn how to detect both existing structural formalisms such as the CityGML Levels Of Details, and expert-specified levels of abstraction. Experiments on different input data and classes of man-made objects, as well as comparisons with existing shape detection methods, illustrate the strengths of our approach in terms of efficiency and flexibility.